Music | High On Serendipity: Luckily, Nada Surf circumvented one-hit-wonderdom. Talk about Lucky—Nada Surf once got to back up Joey Ramone. The NYC trio, whom you know either as authors of a summer hit from 1998 or one of indie rock’s most clever and substantial bands, was covering “I’m Sick of You” for the 1997 Iggy Pop tribute, We Will Fall. The lanky, legendary Ramones singer had tracked “1969” and needed a band to back him up at the record release party. The band practiced “I Wanna Be Sedated”—the other song Ramone would play that night—for two weeks, only not at the Ramones’ usual breakneck pace. “Ira [drummer Elliot] insisted on playing it at the record speed,” says Caws. “So we did it that way, and Joey really liked it; he said it reminded him of the old days. After the record-release party, he said, ‘Next time you have a show, if you learn your favorite six or seven Ramones songs, I’ll get up and sing them with you.’” And, two weeks later, he did. Lucky, then, is an apt title for Nada Surf’s fifth album, but not just because they got to play with one of the coolest rock stars ever. First, they got a major record deal, and High/Low was produced by another cool and mellow rocker, The Cars’ Ric Ocasek. Said album spawned that radio song, “Popular.” But even sweeter is that Nada Surf thwarted one-hit-wonderdom and music-industry pitfalls to do their best work. 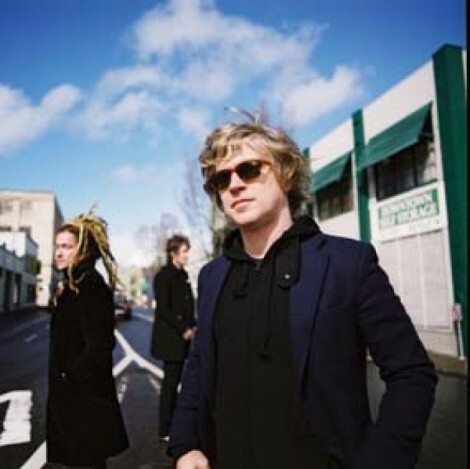 NADA SURF w/ Tim Fite, Twilight Concert Series @ Gallivan Plaza, 239 S. Main. Thursday, Aug. 7, 7 p.m.